Scratching your head for gift ideas this season? 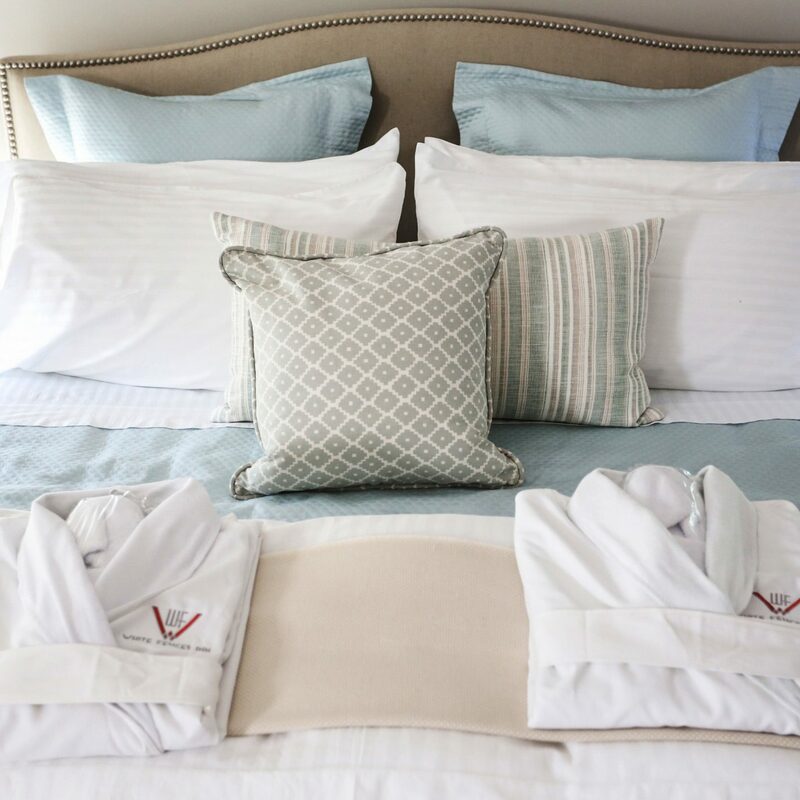 If you’ve already gone the Amazon Alexa-, Kitchen Aid Mixer-, and gift-card-to-their-favorite-retailer route in years past, why not switch things up with a little hotel-inspired homeware? 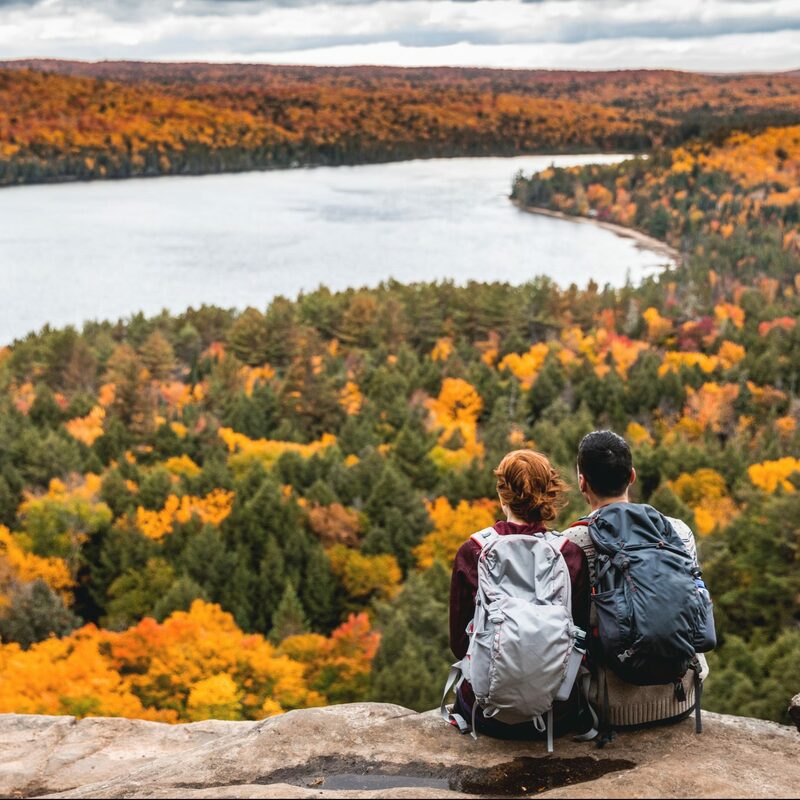 Whether you’re shopping for your mom, your hubby, a really stellar housemate, or even yourself, we’re certain you’ll find something that suits everyone on the list below. 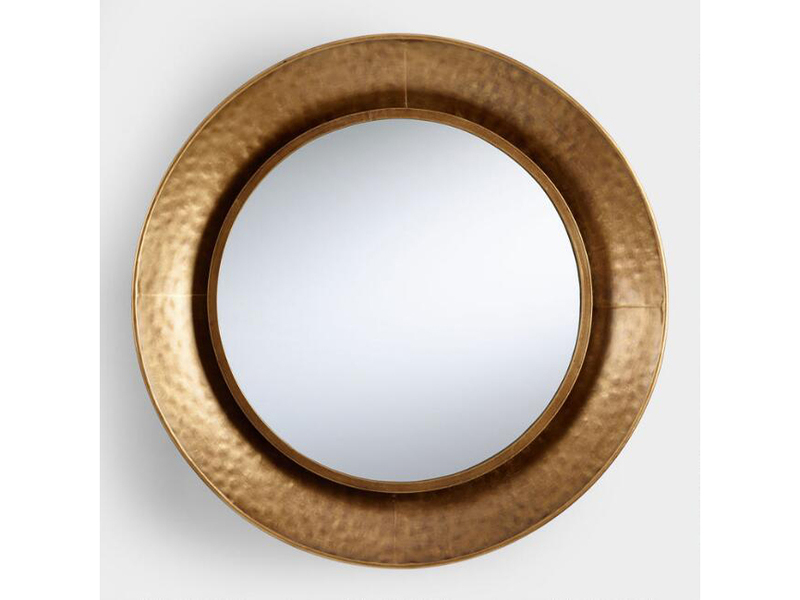 From mid-century modern bar carts and chic crystal glass sets to luxe duvet covers and buttery leather sofas, here are all the items we’re coveting now. It’s been a couple of years since the gallery wall took the world—a.k.a. Instagram—by storm, but that doesn’t mean we’ve lost any love for the trend. 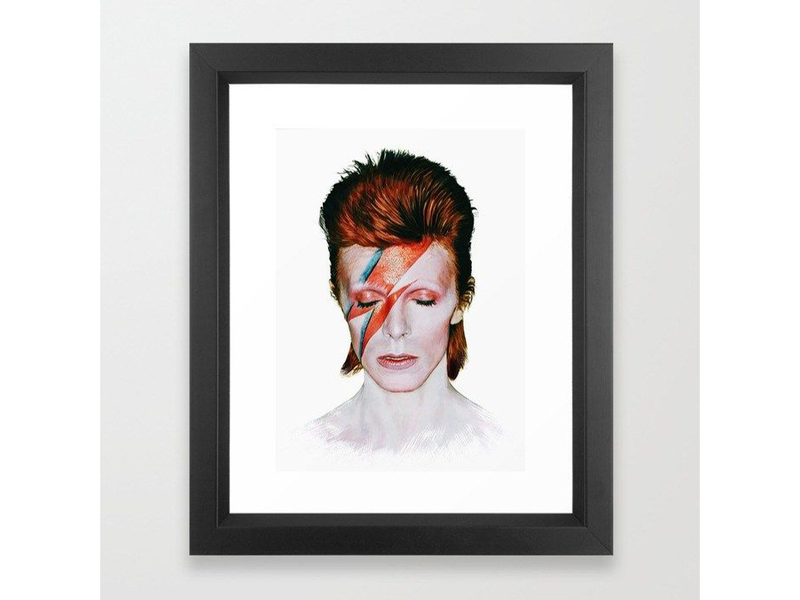 While you could combine any number of bold prints and punches of color to recreate Holiday House’s look, we love a classic Bowie portrait. Can’t dine out every night? 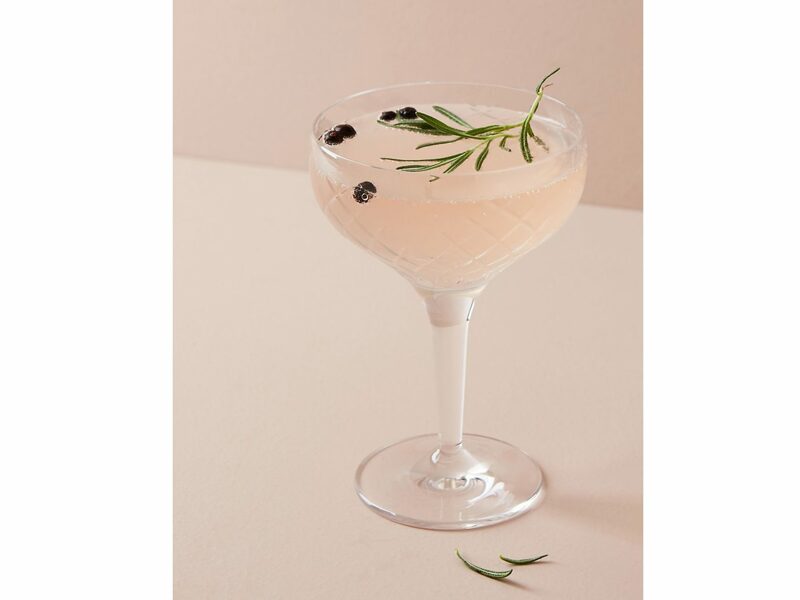 Why not take the party to your place with a chic set of crystal glasses? 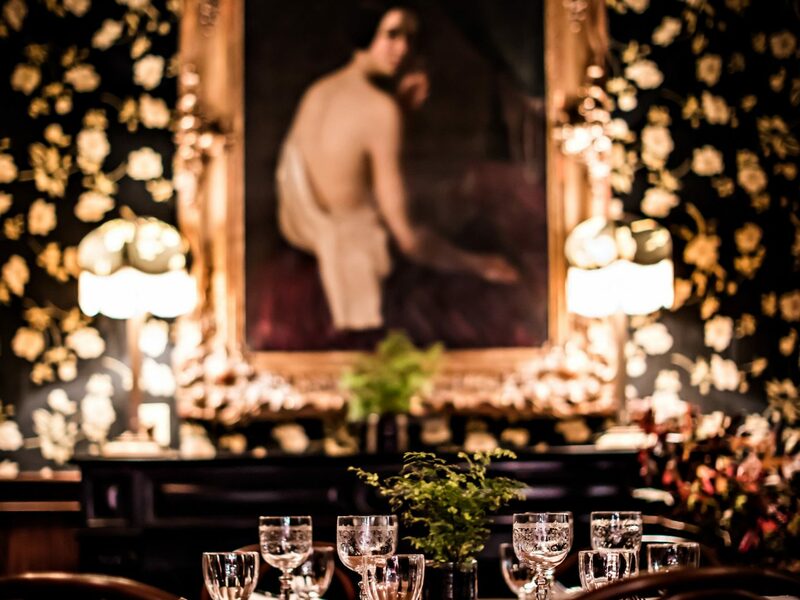 Turn the lights down low, add a few friends, and maybe a homemade coq au vin (or pizza from your favorite Seamless spot), and instantly transport yourself to Paris’ sultry Hotel Providence. 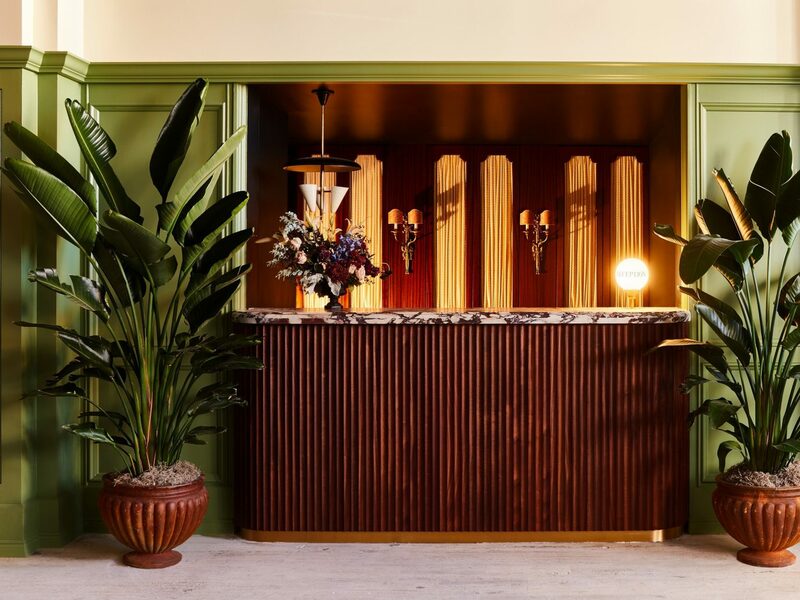 We live for Wes Anderson-inspired interiors, so obviously we fell hard for the Siren Hotel’s retro reception in Detroit. 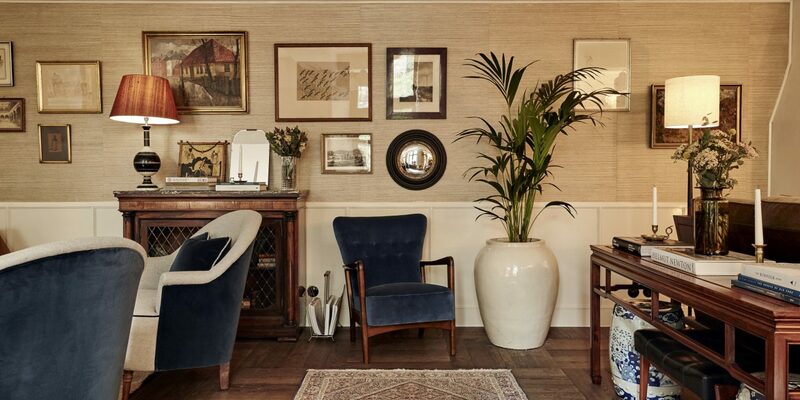 While we don’t think we would could pull off a check-in desk in our cramped NYC quarters, we’re all about opening up our space with a house plant or three. 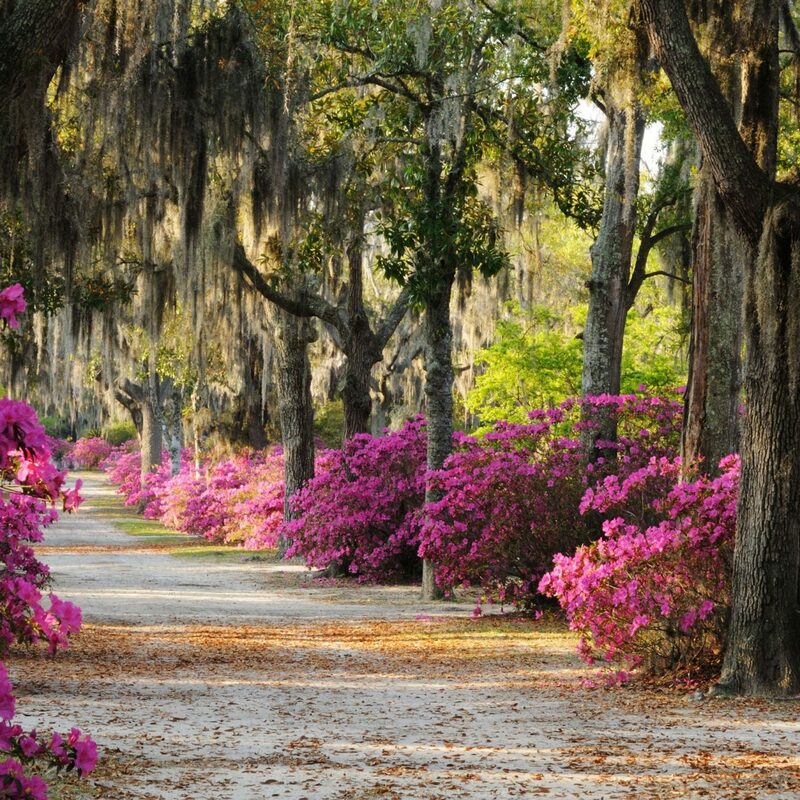 Shopping for someone who doesn’t exactly have the greenest thumb? 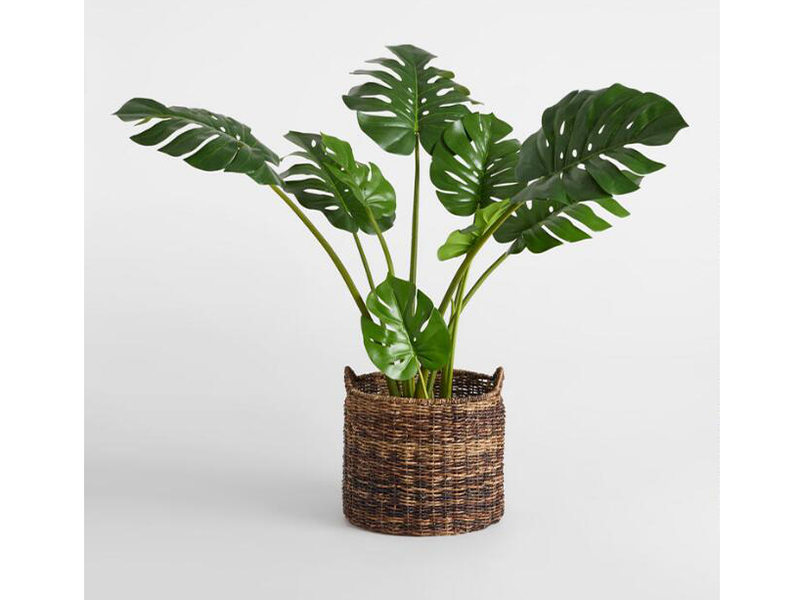 Don’t worry—this faux monstera will have everyone tricked. 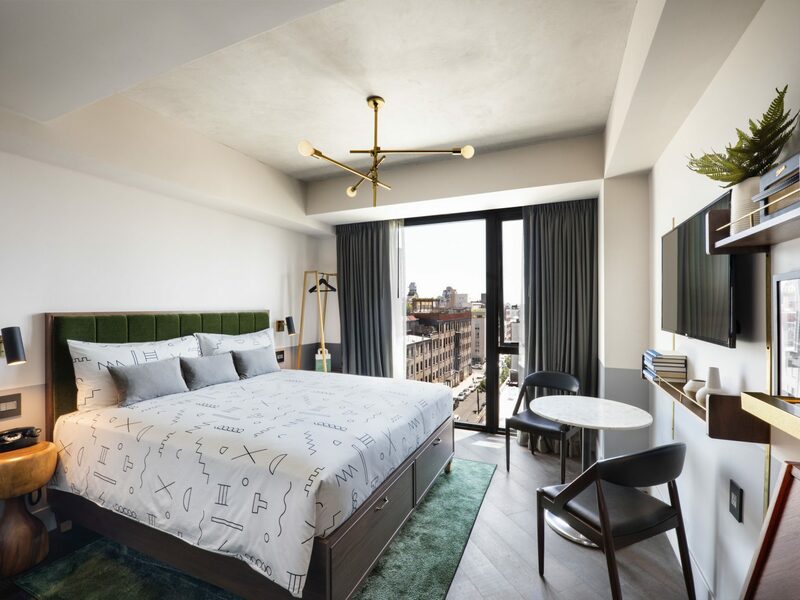 Brass pendant lights, velvet upholstered headboards, rich emerald hues, and floating shelves filled with ceramics—we’re certain The Hoxton, Williamsburg couldn’t be any cooler. Short of redoing your entire room to imitate the hipper-than-thou digs, start with one accessible element: a patterned duvet. 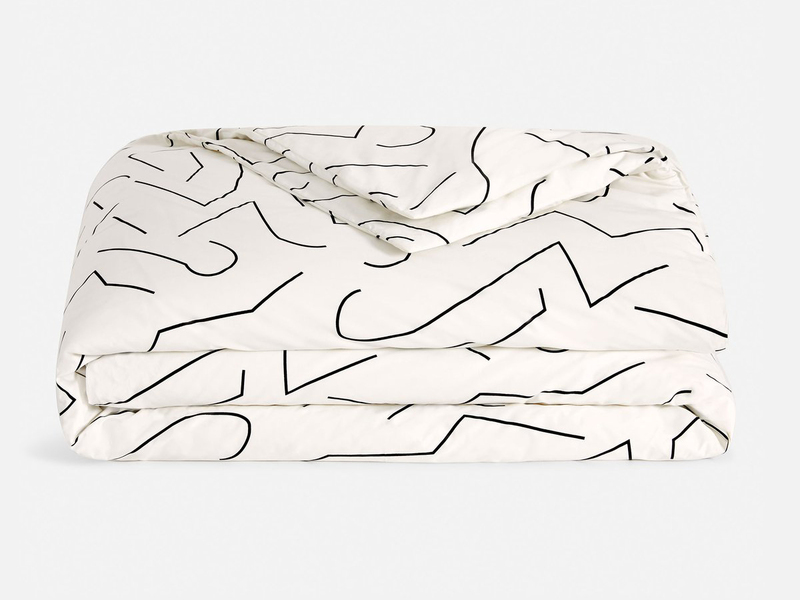 We love the playful yet polished feel of this 480-thread-count option from Brooklinen. 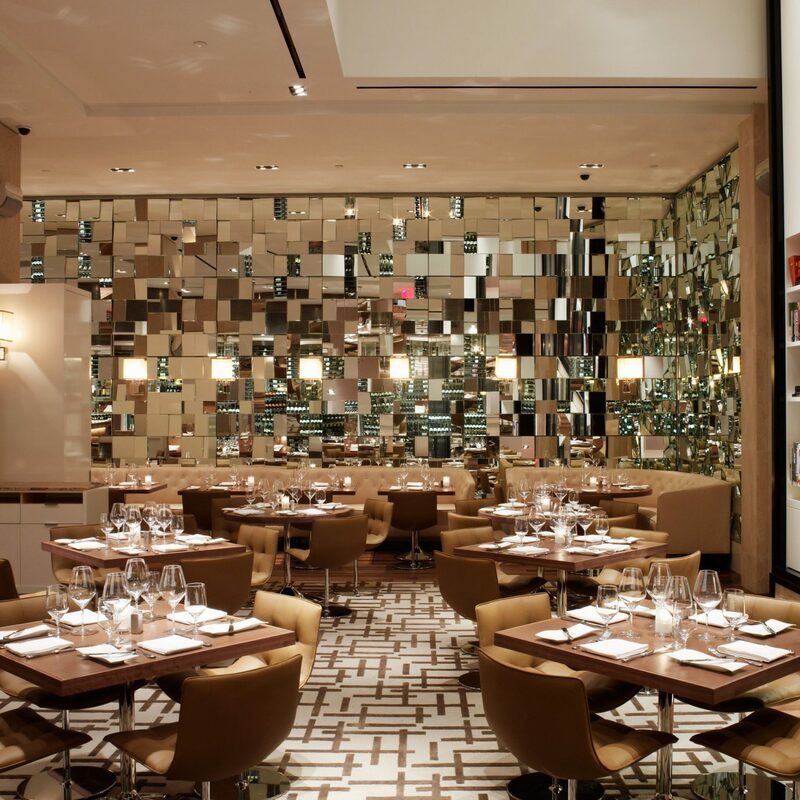 Refined with a touch of whimsy (director Baz Luhrman was involved in the hotel’s design, after all), we would delight in taking all our meals in Faena Hotel Miami Beach’s Pao restaurant. 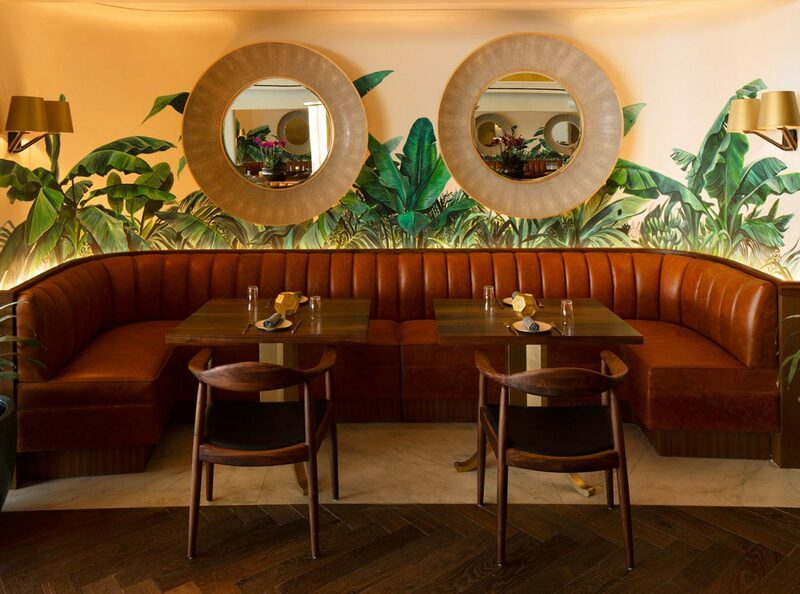 Though we may not be able to take the chef home with us at the end of a stay, we can take a few cues from the dining room: buttery-soft leather seating, simple dark wood tables, palm frond wallpaper, and statement making gold mirrors. 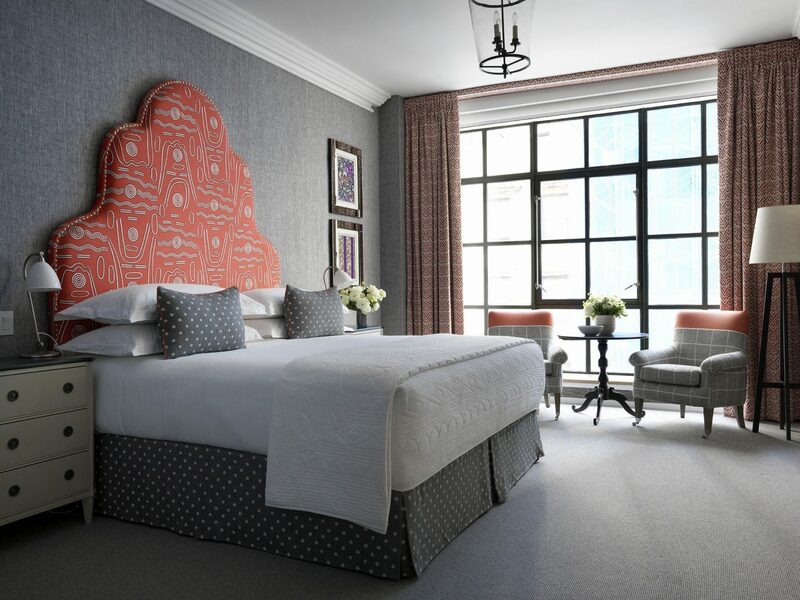 If there’s one thing The Whitby really excels at (there are many, but just go along with us here), it’s luxe, pattern-clashing linens and upholstery. 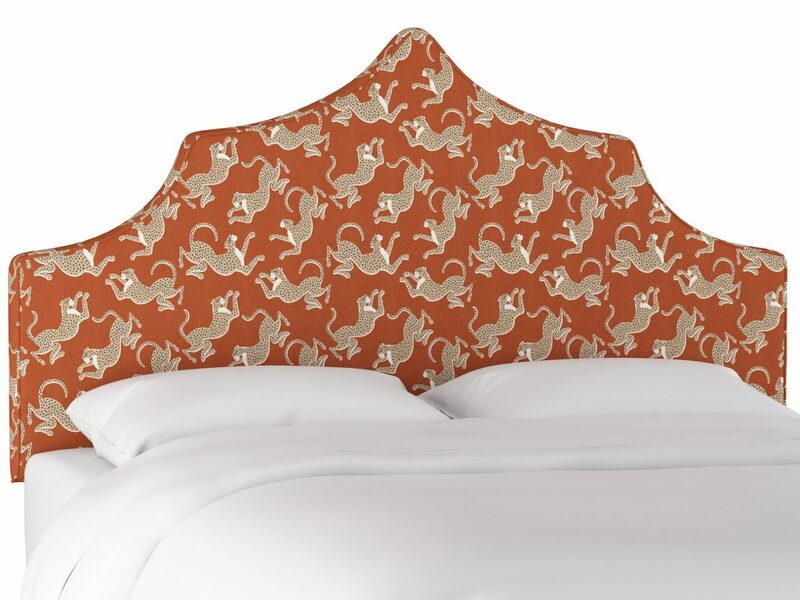 If you’re after adding an eye-popping focal point to your home, this scalloped headboard from Cloth & Co. delivers a bright splash of color and contemporary feel to any bedroom. 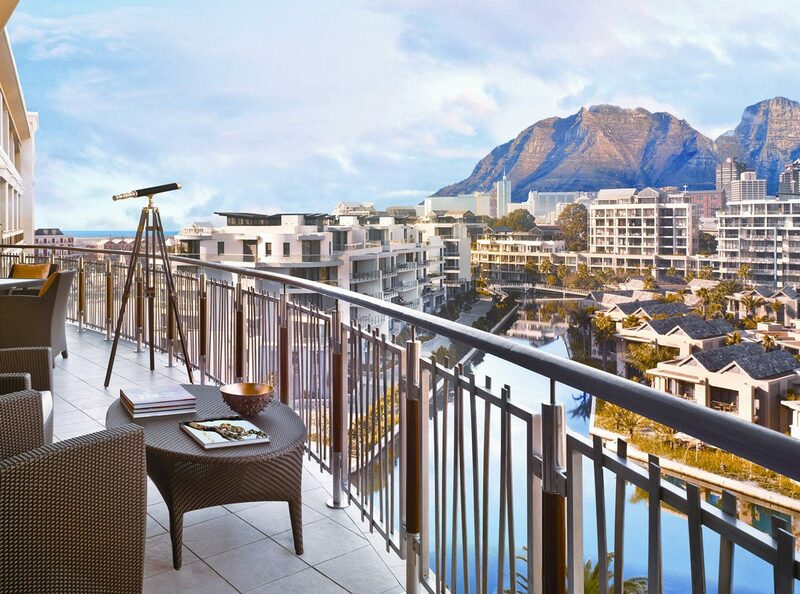 We wish we could say this telescope came with One&Only Cape Town’s stellar views of Table Mountain, but sadly, we can’t work that magic. 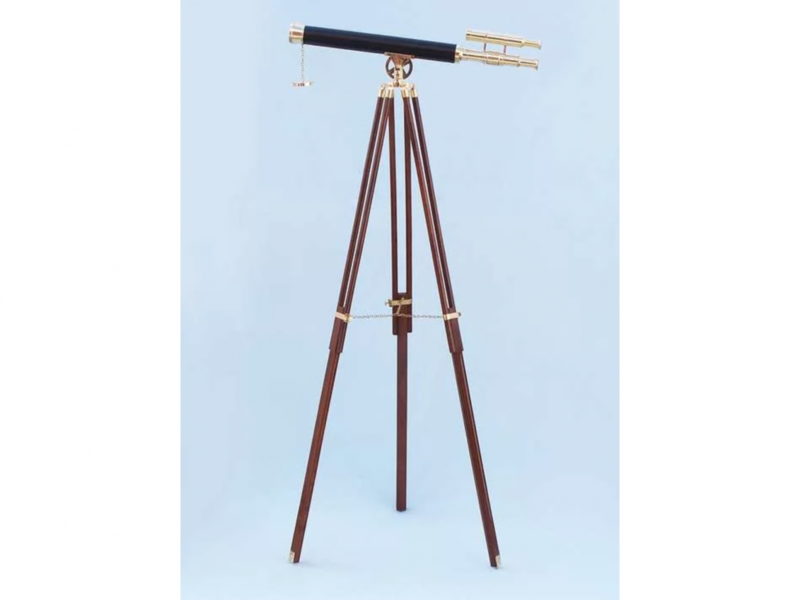 Even so, the nautical, fully functional telescope is a beautiful addition to any space, whether your gift receiver actually attempts to locate constellations with it or just has it out as a conversation starter. 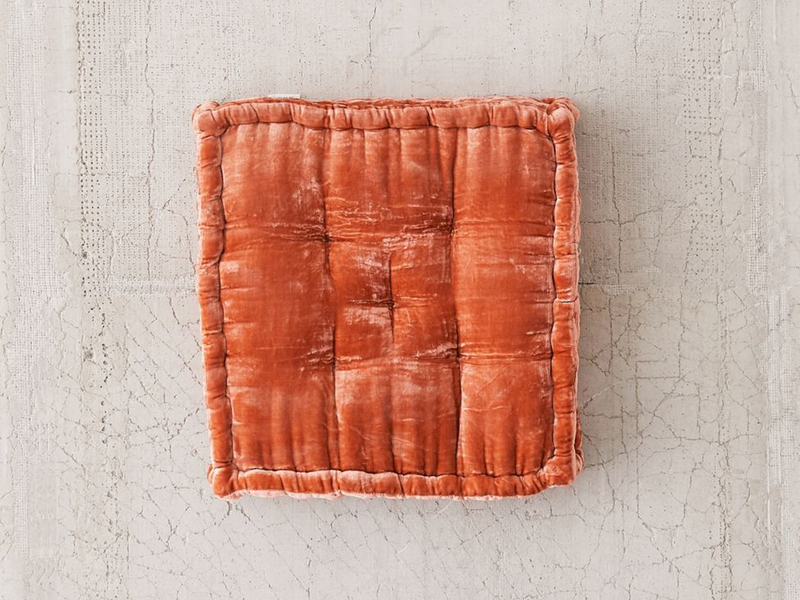 Velvet is having a moment, and while a designer mid-century modern couch can run you a couple thousand bucks (or more), a Moroccan-inspired floor pillow is an affordable foray into the trend. 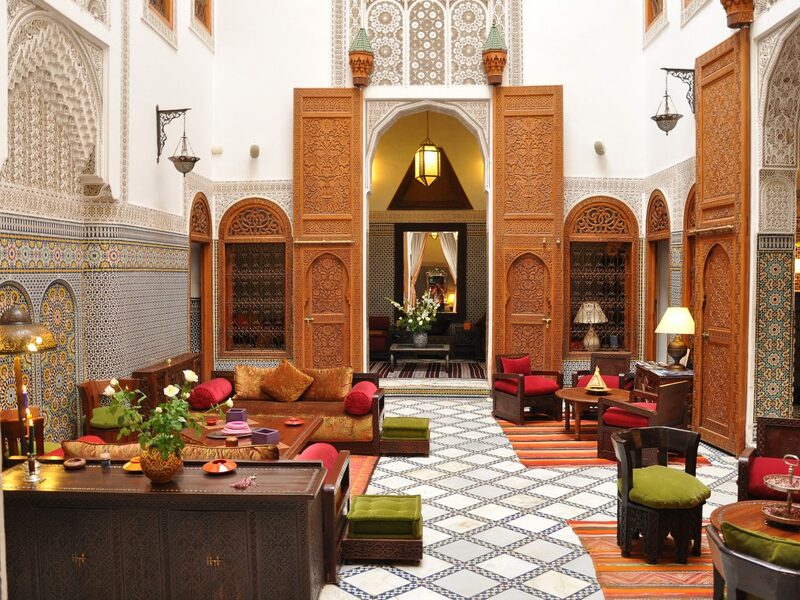 Taking a page out of Riad au 20 Jasmins’ book, stack a few jewel-toned cushions, light some candles, and add a little bit of greenery to transform your space into a comfy, inviting den. If the first thing that pops to mind when we say “mini fridge” is the model you had back in college—think again. 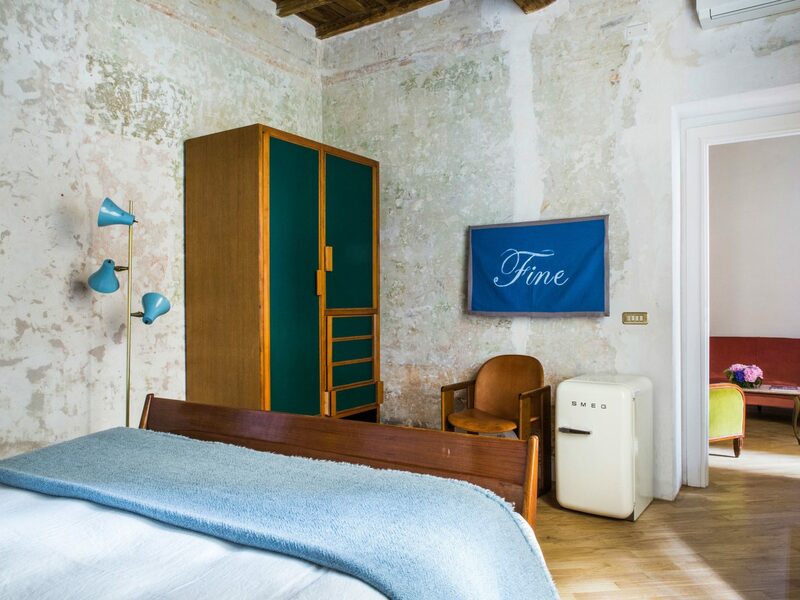 As seen here in a G-Rough guest room, Smeg’s ‘50s-style appliance somehow manages to make fridges cool. 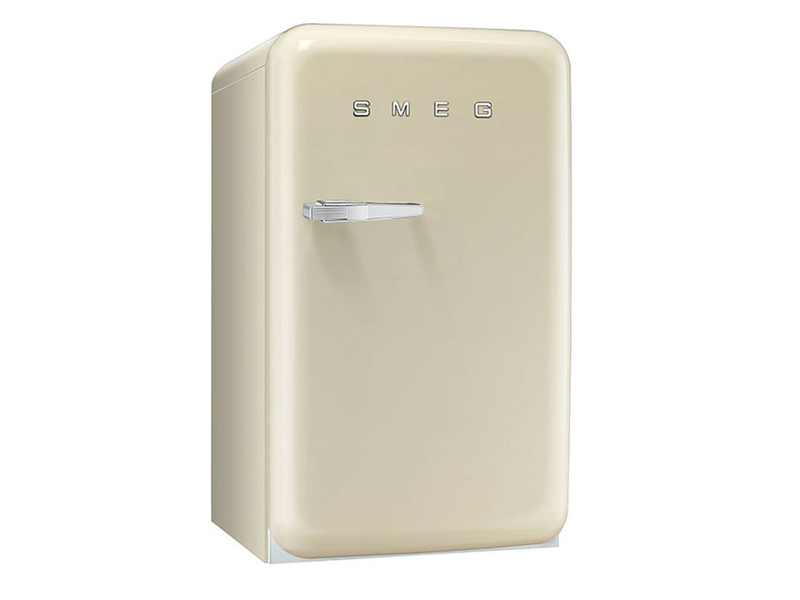 Whether your target aesthetic is industrial elegance or retro modern, Smeg will fit right in. 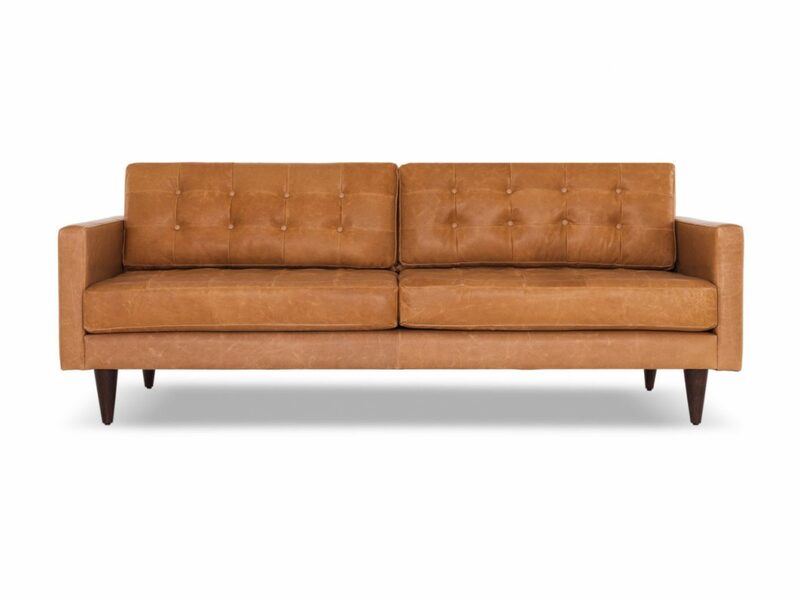 If you’re investing in one key living room piece this season, let it be classic leather sofa from Joybird. 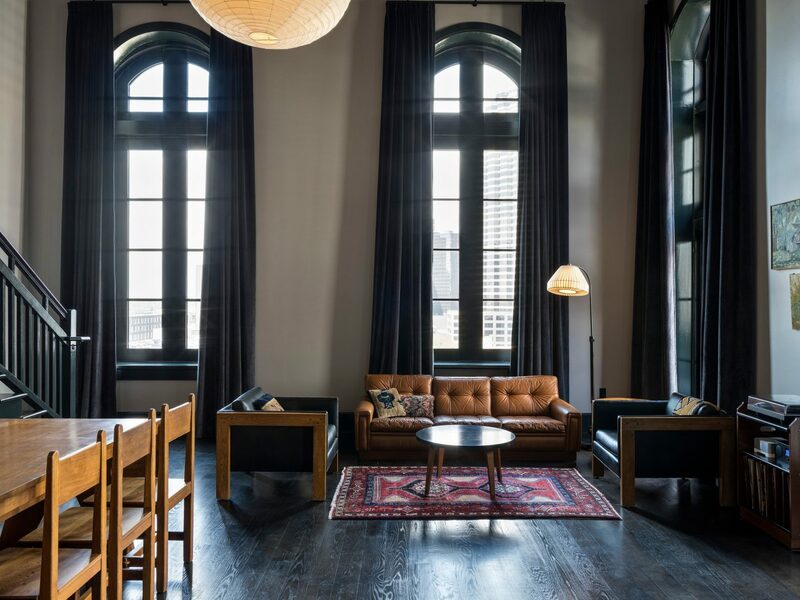 Just like the ones at Ace Hotel New Orleans, the comfy centerpiece looks perfectly lived in and can be matched with just about any décor scheme, so if your tastes change frequently (no shame—we get it), you won’t have to worry about it fitting in. Have a friend who aspires to host more brunches next year—or just enjoy whipping out your own inner Christina Tosi on weekends here and there? 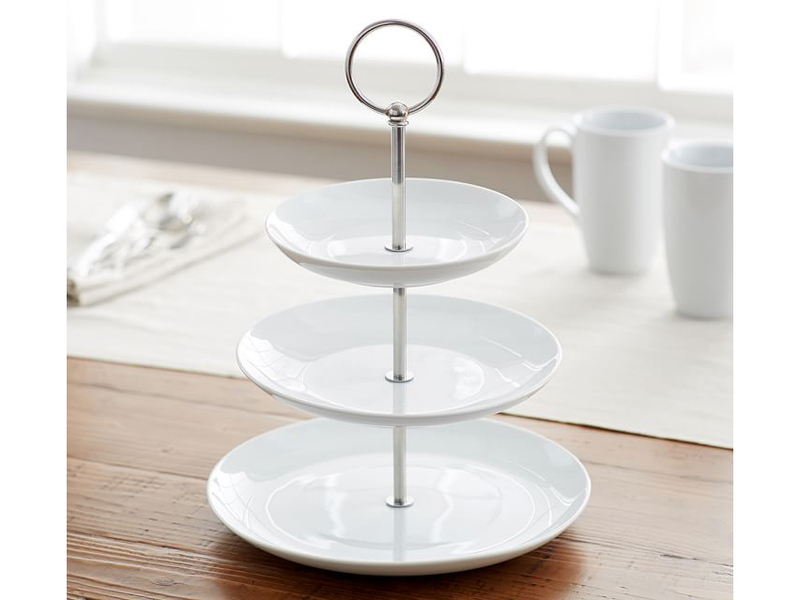 If so, it’s time to pick out a pastry stand. 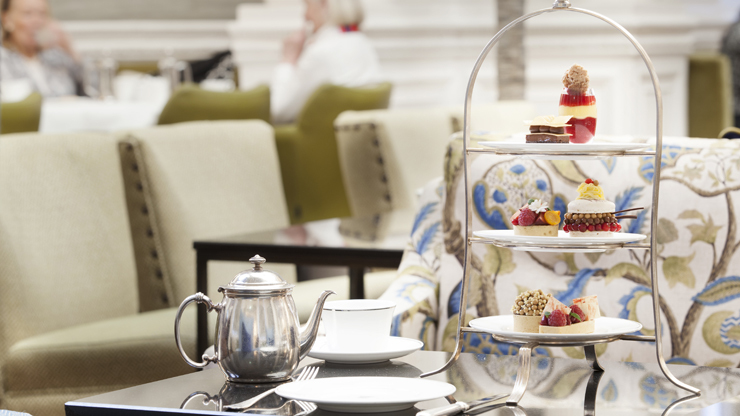 This three-tiered piece from Pottery Barn—scones and clotted cream not included, unfortunately—has us reminiscing on afternoon tea at The Balmoral, Edinburgh’s Palm Court. 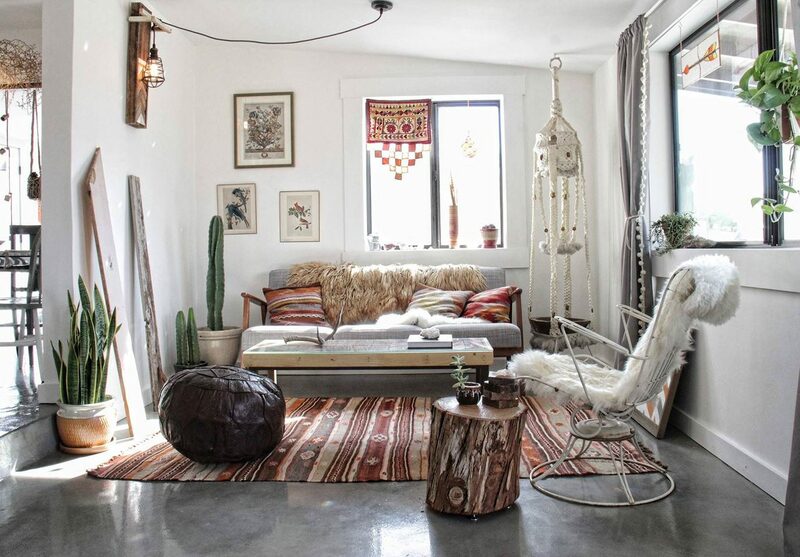 It doesn’t get much more boho than Joshua Tree’s We Are in Our Element Cabin. 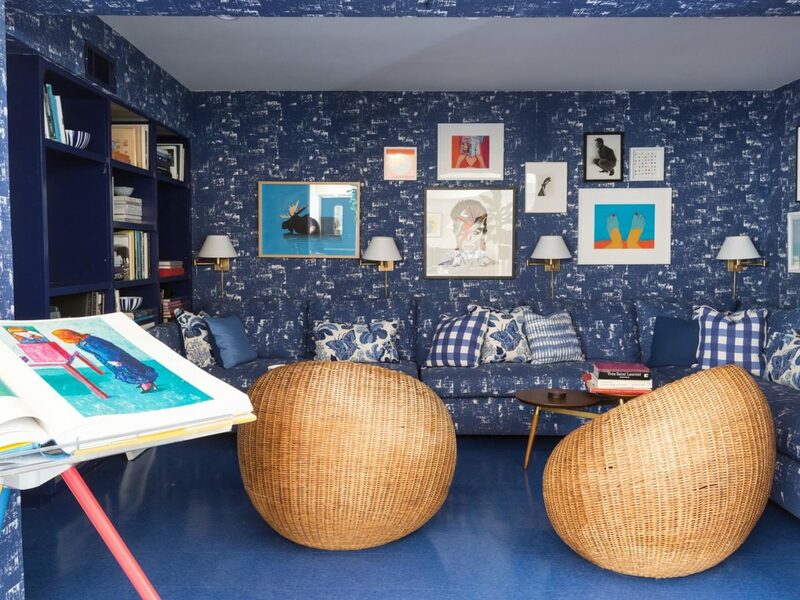 Transport yourself to the artistic retreat with a few free-spirited elements like floor poofs, crocheted accent pieces, faux fur shag blankets, snake plants, and, of course, a rug that pulls the whole room together. 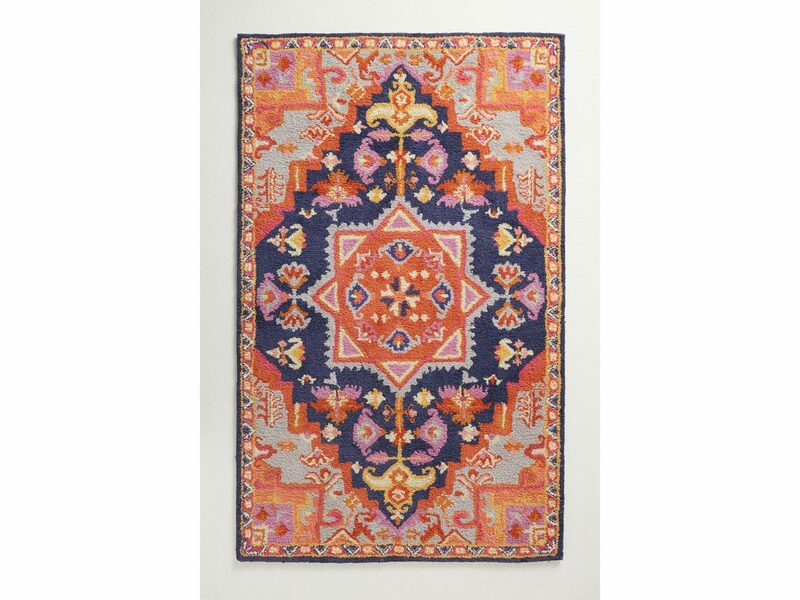 Our pick of choice goes to Anthropologie’s plush Amerita Rug; the tufted wool piece is a whole inch deep—perfect for sinking your toes into after a long day. 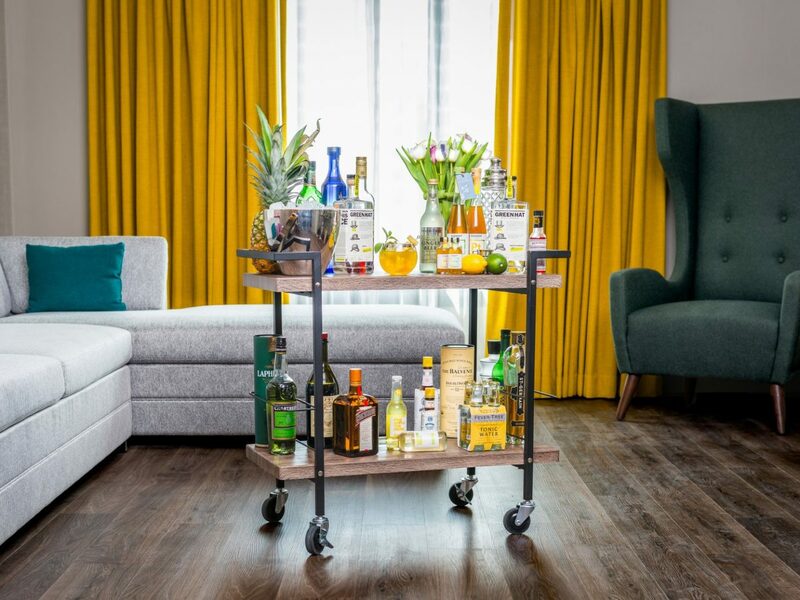 Forget the mini bar—we’re all about the full-blown bar cart. At The Darcy Washington DC, guests can reserve 30-minute in-room sessions with the hotel’s mixologist, who’ll whip up anything you propose. 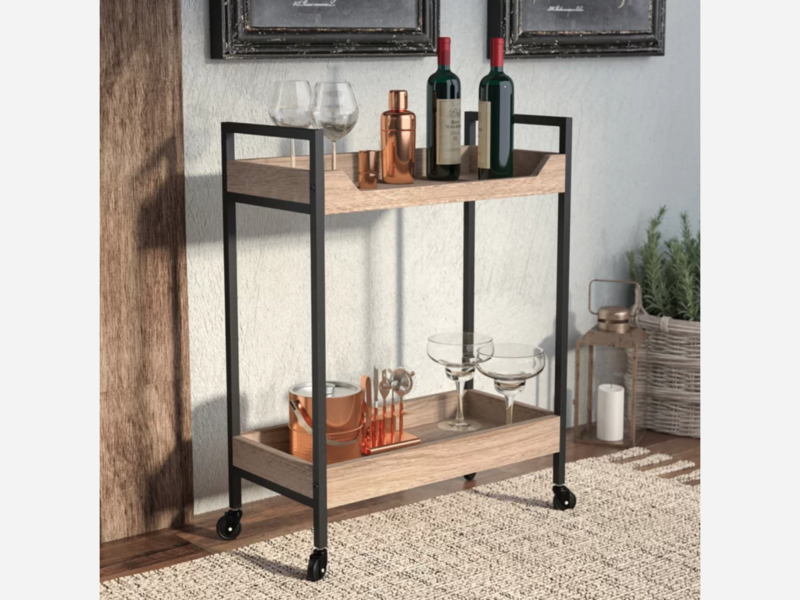 While you may be hard-pressed to find such service in your own apartment (unless you have a significant other or really nice roommate who’s game), you can recreate the experience with this mid-century modern cart from Laurel Foundry Modern Farmhouse. 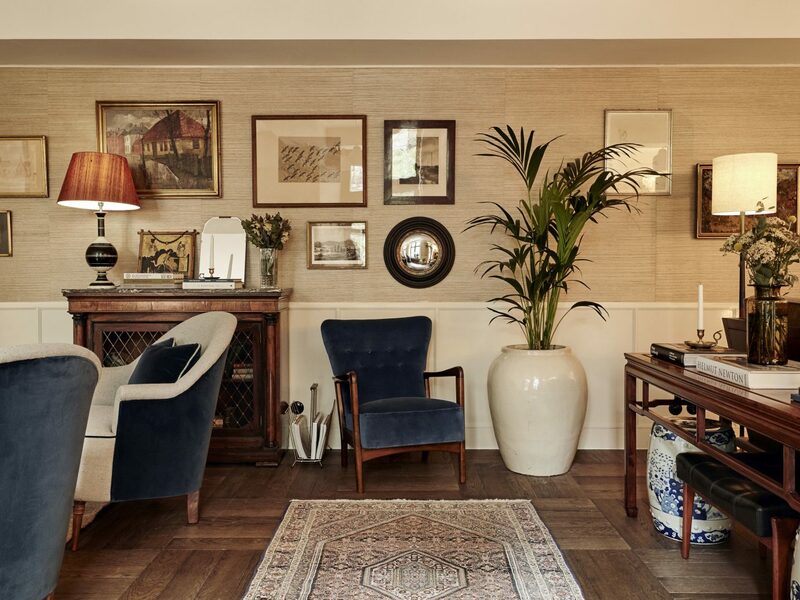 Bespoke velvet chairs, framed local artwork, Murano chandeliers, and polished dark woods abound in Hotel Sanders’ design-forward digs. 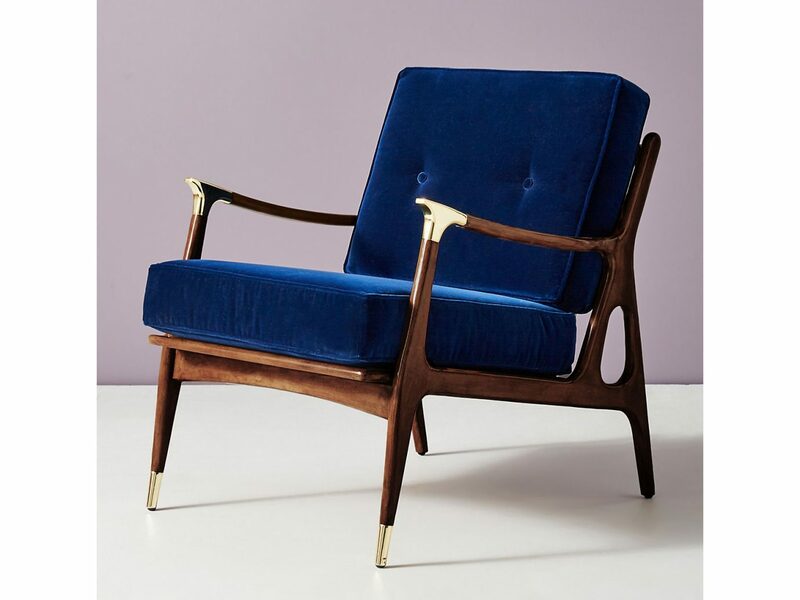 The Copenhagen boutique may have unstuffy elegance down to a science—they did have 52 handsome rooms to experiment with—but you can borrow the aesthetic by introducing pieces like Anthropologie’s Velvet Haverhill Chair in your own space.